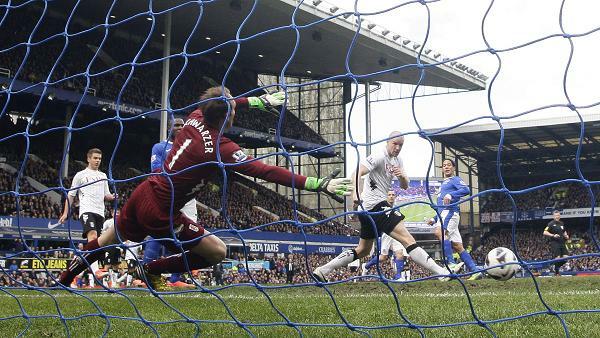 Everton have certainly become accustomed to beating Fulham at Goodison and so it transpired again on Saturday. The travelling support, which could only have numbered 100 at best, were obviously aware of what was to follow as Everton continued their impressive record against Fulham with a home win for the 12th consecutive season. The match was won at a canter, with Martin Jol’s Fulham putting up little resistance and the only surprise was that the scoreline remained at one-nil to the Blues. With Tottenham and Arsenal both failing to win, the distant dream of European football remains, but on a day when the Blues dominated from the first minute to the last, it was plain to see why Everton have failed to seize the opportunity to qualify for next seasons Champions League. Put simply, Everton fail to kill off teams. Two many times this season David Moyes’ have dominated games, but failed to put the game to bed and have paid the price, when the opposition have stolen the points with a late equaliser or even a winner. The list of games is endless. Fulham, Reading and Norwich away, Newcastle, Norwich and Swansea at home, should on the balance of play all ended up with Everton wins, yet none did and Everton are still counting the cost of these lost points. On Saturday the game followed a similar pattern, Everton should have been out of sight, before Fulham started to apply a little bit of late pressure. On this occasion an improved Everton rearguard were able to withstand Fulham’s advances, but it remains a worry that the Blues continue to lack the killer instinct that will propel them from a good team, to a superb side pushing the top clubs in England all the way. The goal Everton did score was brilliantly constructed. Osman, Mirallas and Coleman were all involved, before the latter pulled the ball back in the path of the onrushing Pienaar to fire the Toffees into a deserved lead. How Everton failed to add to the scoreline will remain a mystery, but a number of excellent chances came and went, with the excellent Schwarzer and some poor finishing to blame. Mirallas, Barkley and Fellaini will all believe they should have scored, but on this occasion the Goodison crowd were forced to settle for one, but still went home happy with three points in the bag. Next is the visit to Anfield, with hope and aspiration of some form of European football intact. It has been far too long since Everton crossed Stanley Park and returned with the three points. This is the best Everton side to make that short trip under David Moyes and he will be hoping that Liverpool, lacking some bite up front, will be no match for the Blues.